I am very fortunate to be able to “picture ideas” with some of the most innovative and world class businesses and industries. 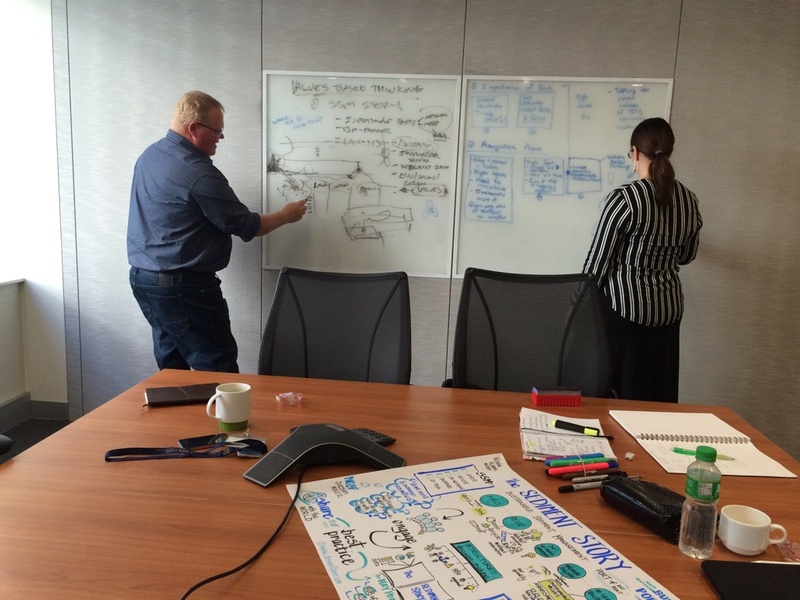 My visual storytelling approach helps business and industry to draw out their ideas, visualise their goals and team vision. 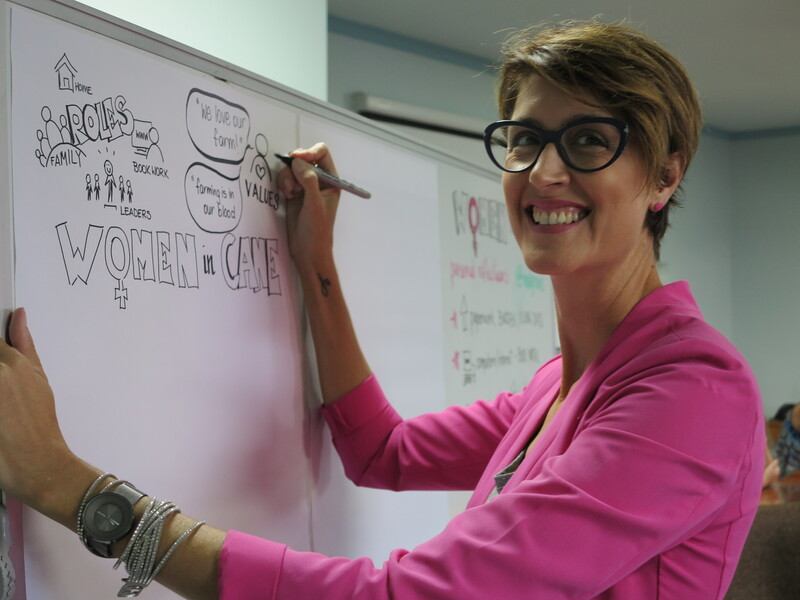 You can see how my graphic recording below also helps business and industry to put people in the picture using a range of visual storytelling approaches from ‘live’ graphic recording, creating infographic illustrations and drawn animations. 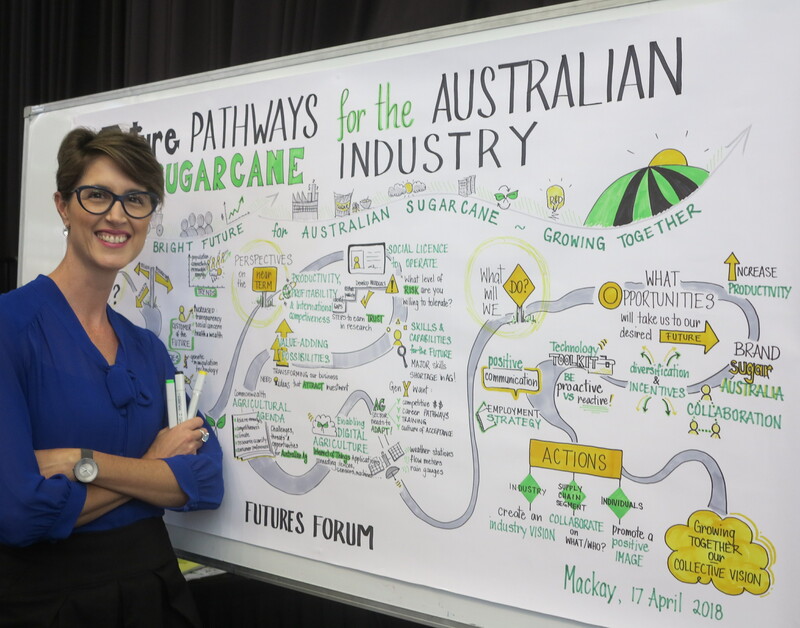 I love working with industry, particularly in regional Australia so when Sugar Research Australia engaged me to graphically record their inaugural Australian Sugarcane Industry Futures Forum I got to visit beautiful Mackay. 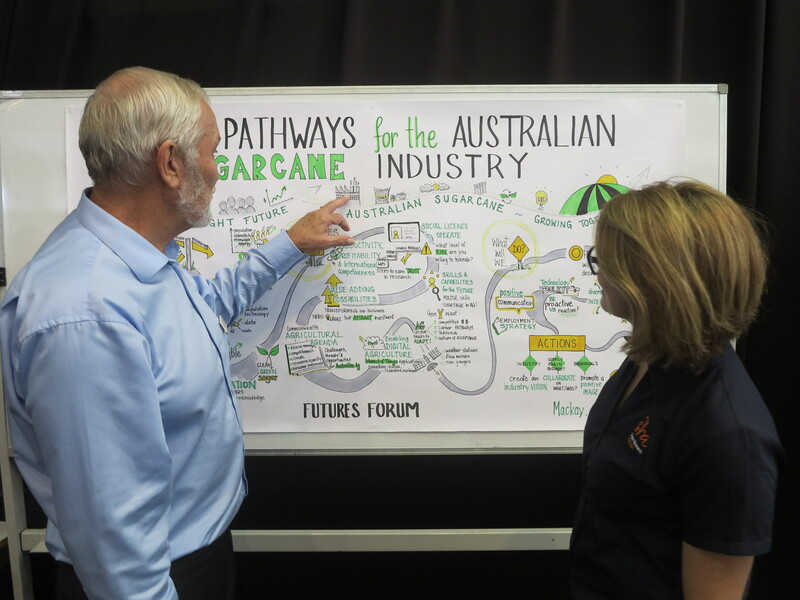 This important Forum brought together all parts of the sugarcane industry from growers, millers and peak industry bodies to workforce and skilling, government, economics and policy makers to futurists, technologists and research and development organisations and I was there to visually capture the discussions about the future pathways for the Australian sugarcane industry. 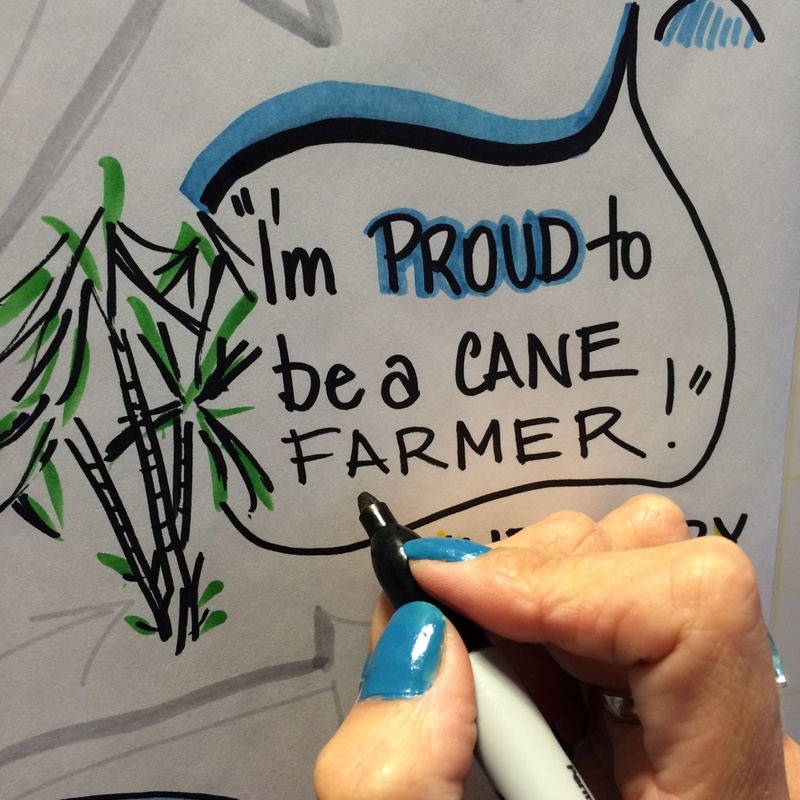 It was great being back in cane country again and catching up with the leaders and innovators in this industry and a BIG thank you for your amazing feedback on my visual too! 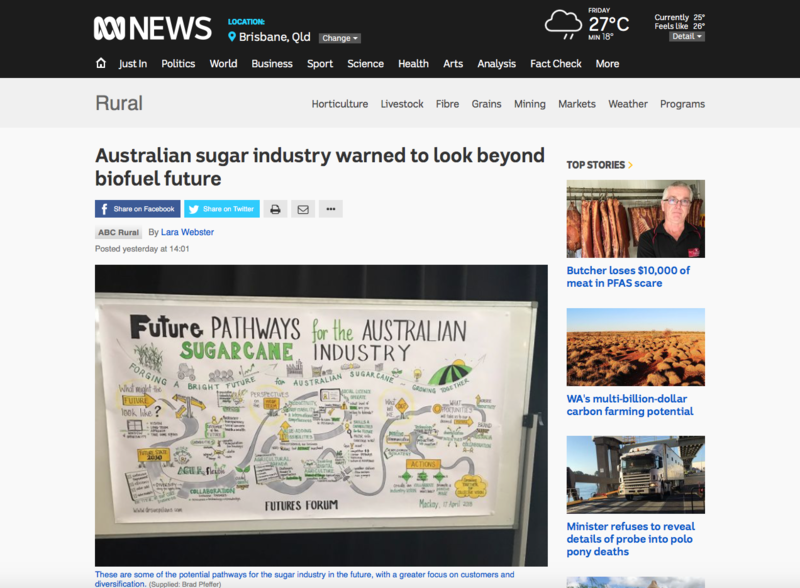 My visual was then used to head up the ABC News article on the Futures Forum! 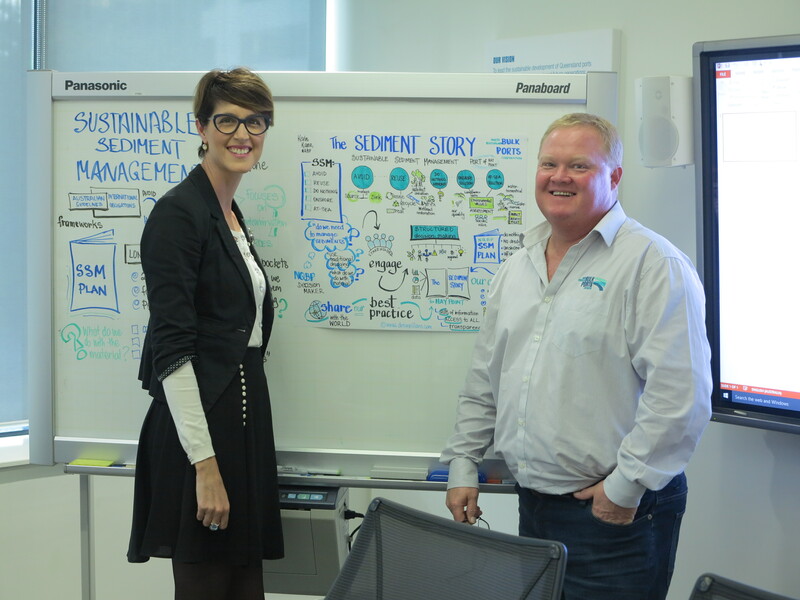 I worked with North Queensland Bulk Ports Corporation (NQBP) (http://www.nqbp.com.au) to help them visually communicate their environmental and sustainability stories, both internally with staff and externally with stakeholders and the community. NQBP is one of Australia’s largest port authorities by tonnage throughput with more than half of Queensland’s trade, by tonnage, passing through their ports (which include Weipa, Abbot Point, Mackay and Hay Point). As shown below I will be using a range of visual storytelling approaches to help NQBP communicate their environmental stories. 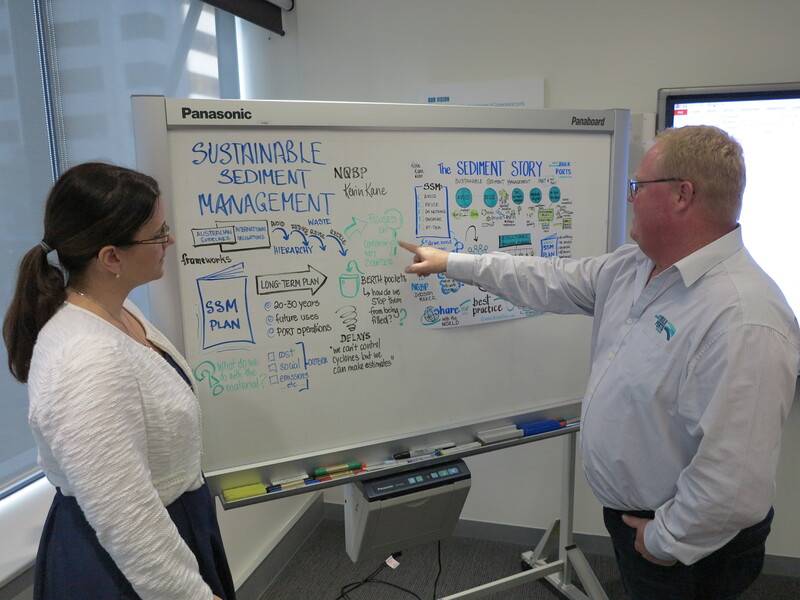 I recently attended a NQBP team meeting where I graphically recorded ‘live’ a presentation by Kevin Kane, Senior Manager Environment. It was great fun drawing out Kev’s talk to help visualise for the staff the complex elements and processes of NQBP’s Sustainable Sediment Management story. As you can see from the photos and feedback below we have been working together to create a number of visuals to help picture ports for people! Check out the new drawn animation below too which illustrates NQBPs Sustainable Sediment Management story! I worked with the NQBP’s Environment and Sustainability team to help draw out their ‘Sustainable Sediment Management’ story. 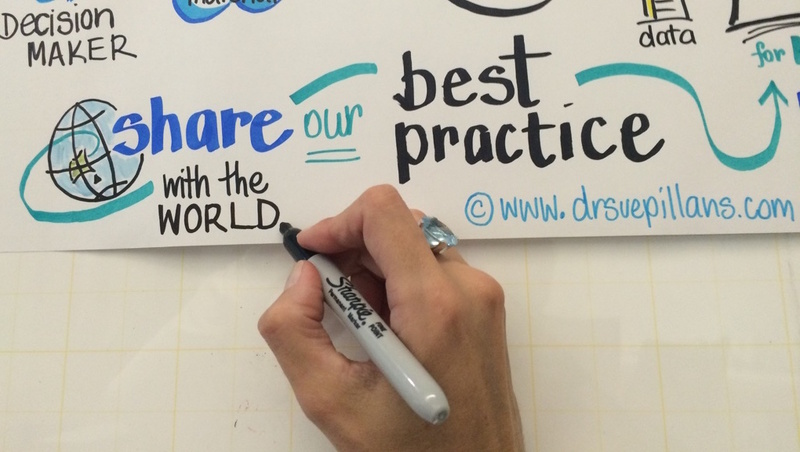 It was a great experience working with people who are so committed to telling their environmental and sustainability stories through words and pictures. 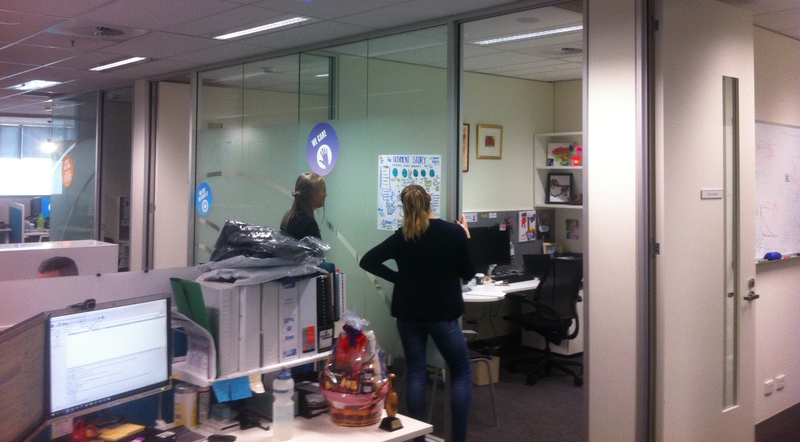 I also love when I work with teams and they take over with the pens and whiteboard as you can see below! 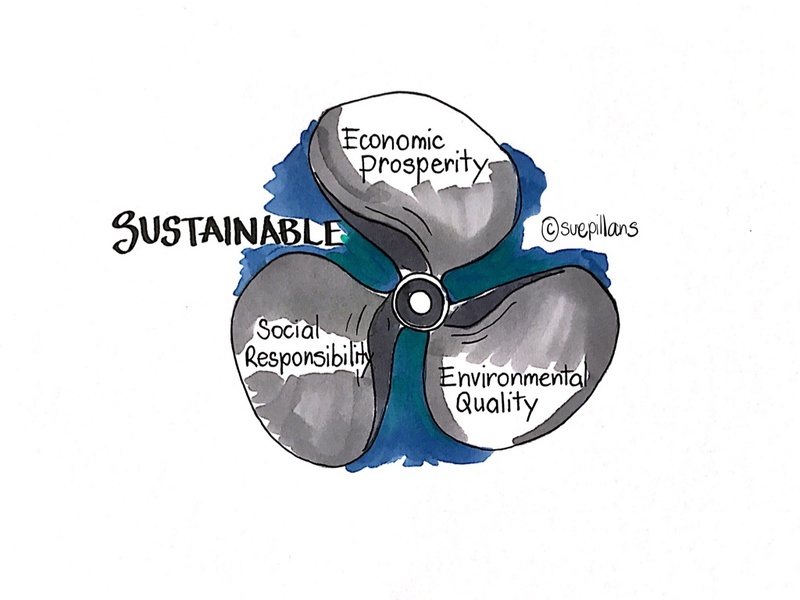 The end products included an infographic illustration for use at an International Ports Conference and a hand drawn animation of NQBPs Sustainable Sediment Management Story, which is now available for viewing via NQBPs You-Tube channel https://m.youtube.com/watch?v=MAhDSlvcL_k and in the below video clip. 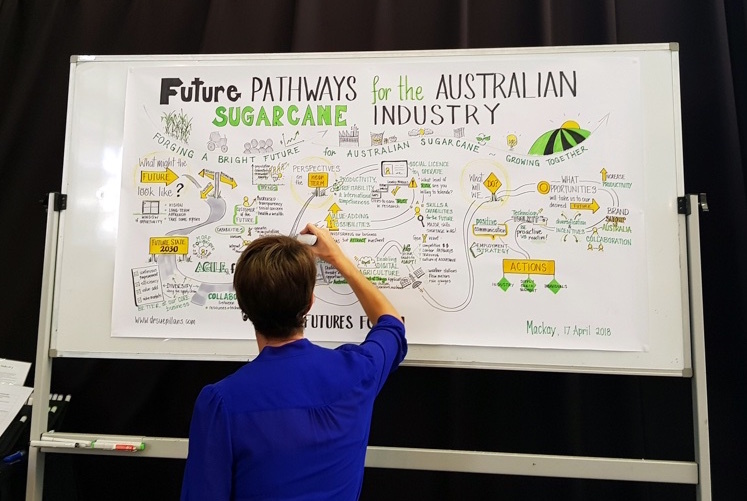 As a Graphic Recorder I worked with Behaviour Innovation Pty Ltd on ‘Project Cane Changer’, a partnership with CANEGROWERS (peak industry body) and the Queensland Government. 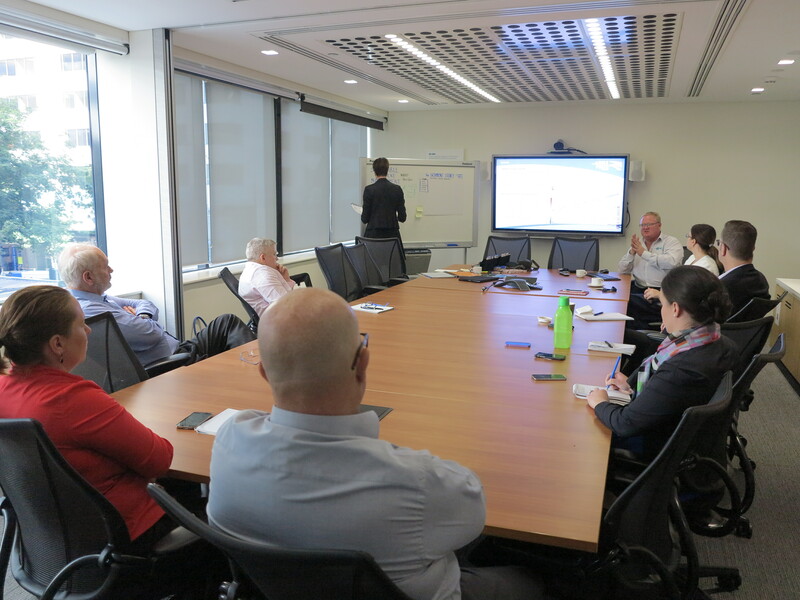 The project was designed to value and recognise Queensland’s sugar cane farmers for their role as custodians of the land and their ongoing efforts to protect the Great Barrier Reef. You can find out further information about Project Cane Changer. 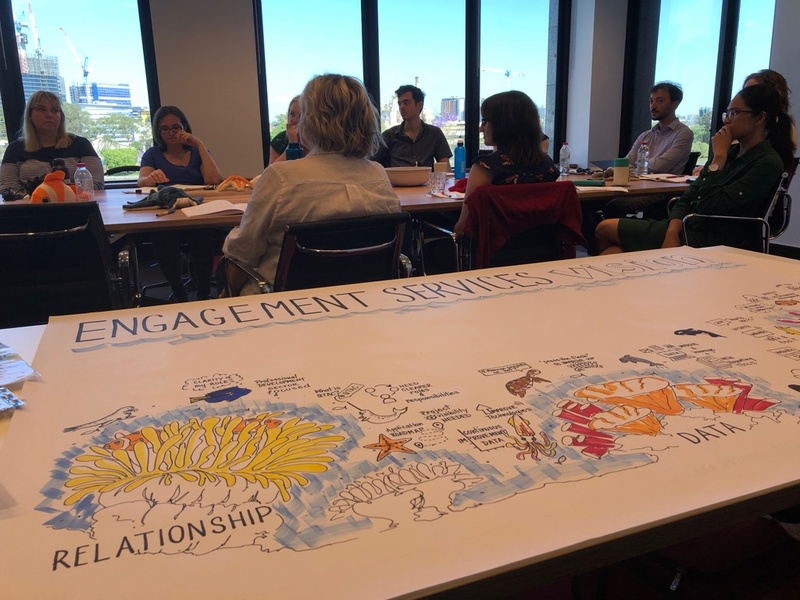 Graphic Recording was used in the first phase of this project to help visualise the ideas and issues facing farming families when it comes to their role in protecting the Reef. 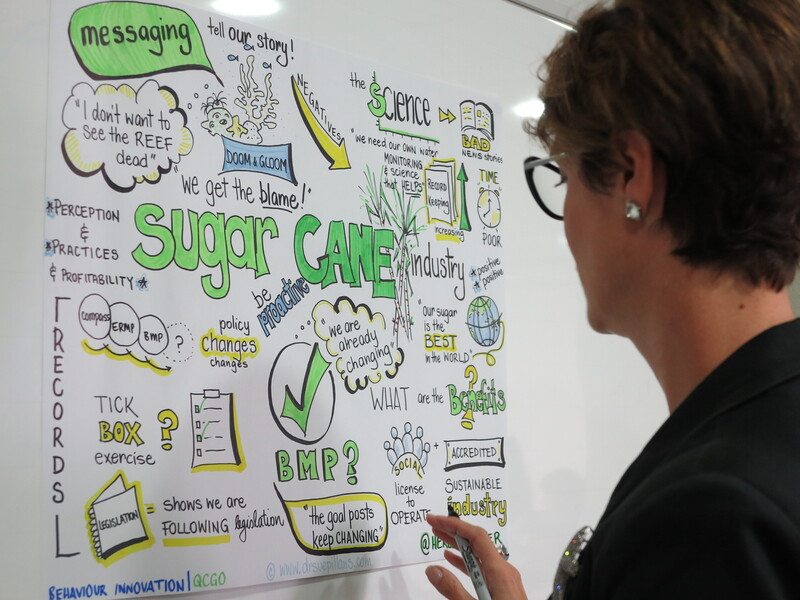 My role as the Graphic Recorder for this project was to visually capture and convey the key messages, ideas, issues and discussions we had with the wide range of sugar cane stakeholders that make up Queensland’s sugar cane industry including (but not limited to): farmers, growers, mills, members of the supply chain, sugar cane families and Government. 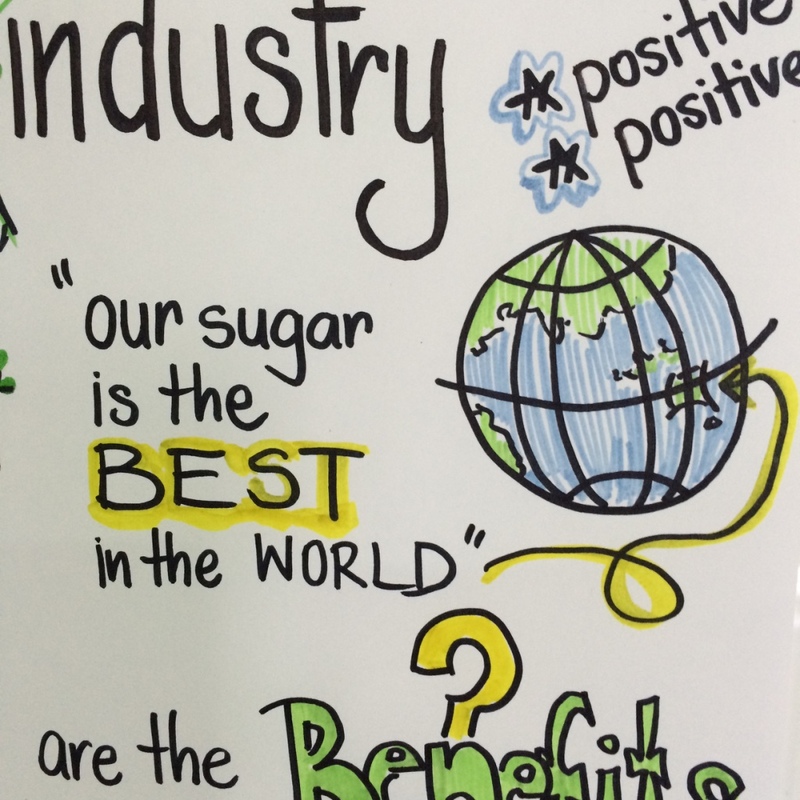 CANEGROWERS is the peak industry body for sugarcane growers in Queensland and major partner in Project Cane Changer. 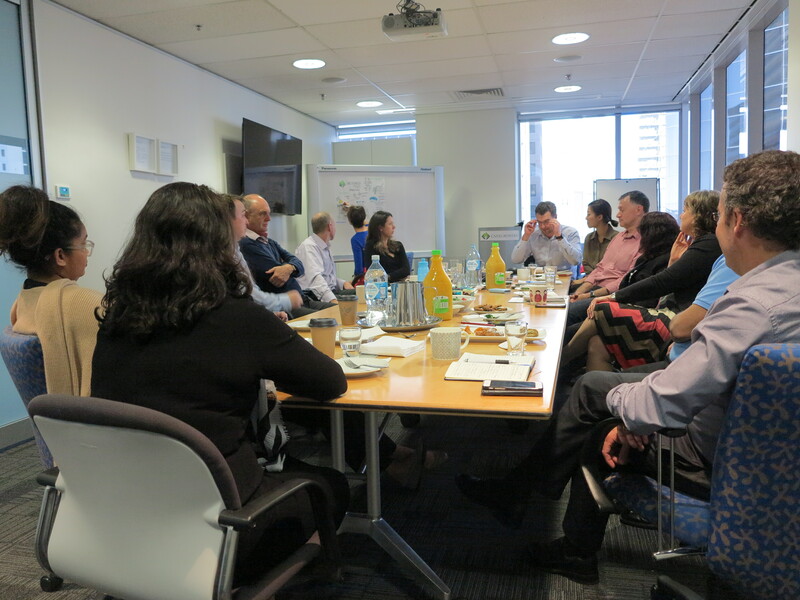 I was privileged to be able to draw out the ideas and issues facing the cane industry during a recent central office team meeting. 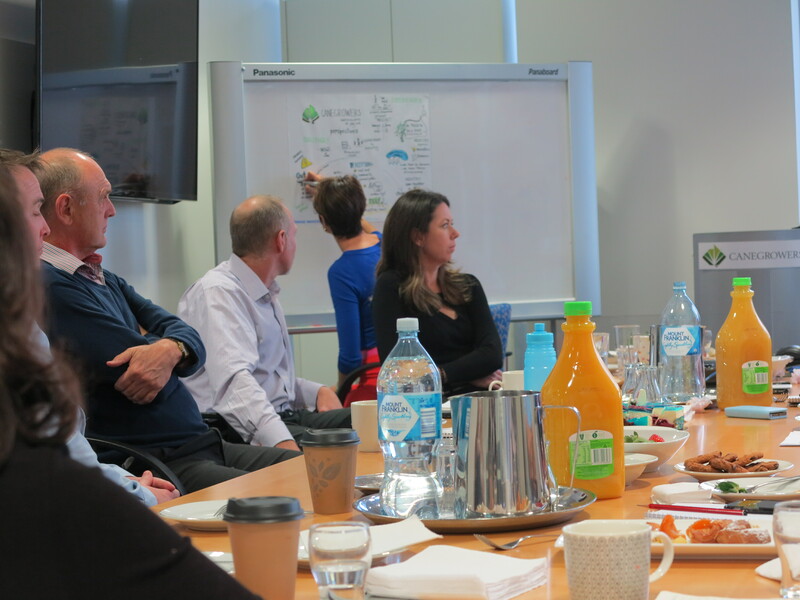 It makes for a good team meeting when you have an amazing spread of morning tea with a bit of visual ‘sugar and spice’ thrown in! 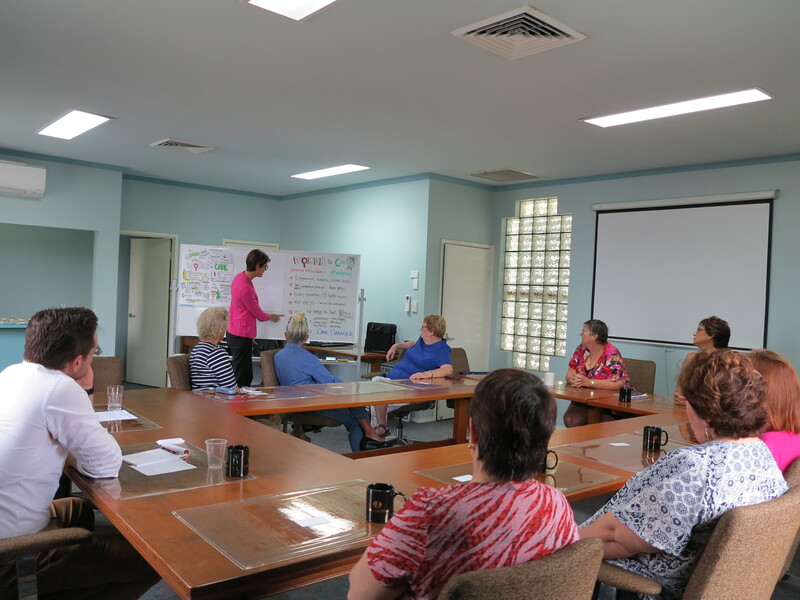 Throughout June 2016 the ‘Cane Changer’ team went on a road trip to the Wet Tropics of North Queensland to meet with a range of sugar cane farmers and growers including the Women of Cane. 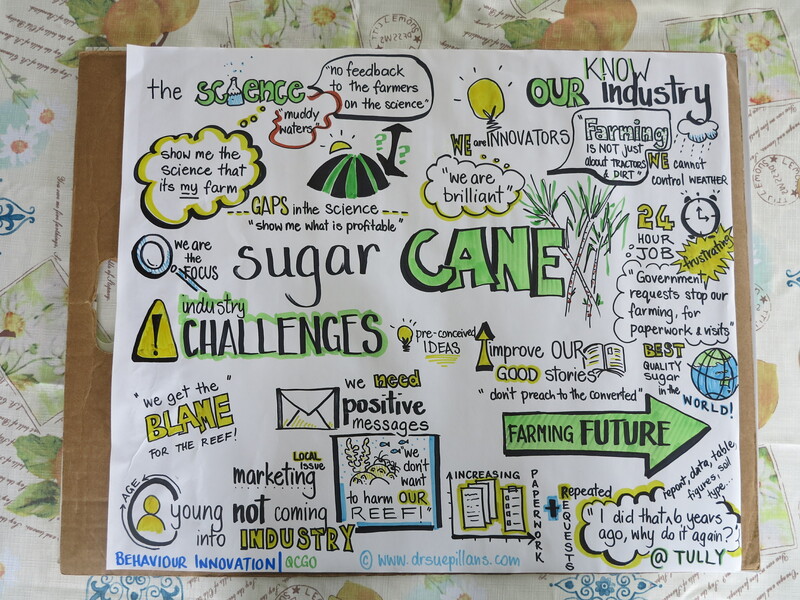 As you can see from their visual stories below the sugar cane industry in Queensland is complex, diverse and very innovative. 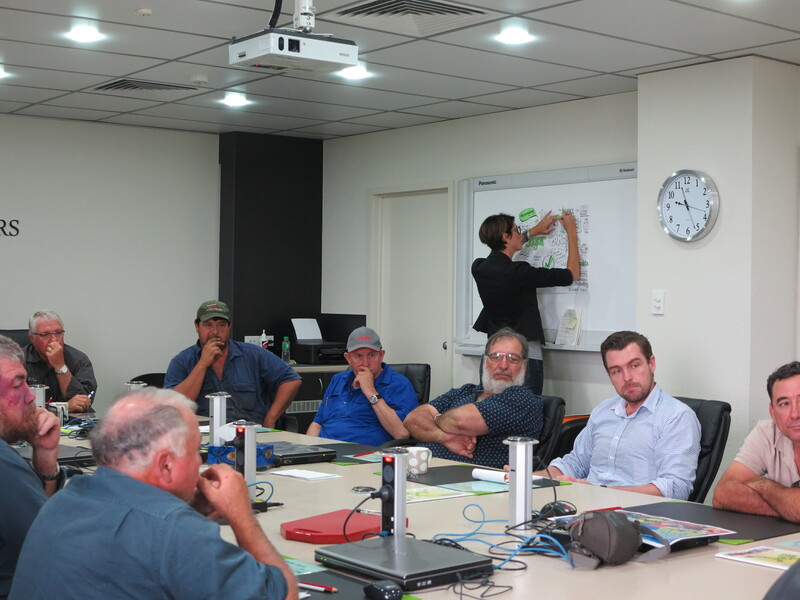 I just love working with farmers to help “picture their ideas“! 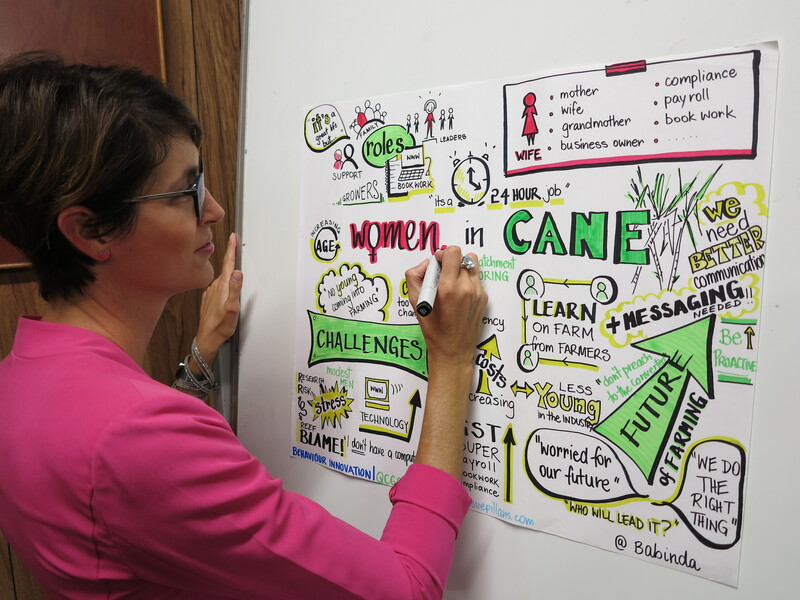 Women in Cane – in the Canegrowers offices of Mulgrave and Babinda I helped to picture the ideas of the amazing women of cane. 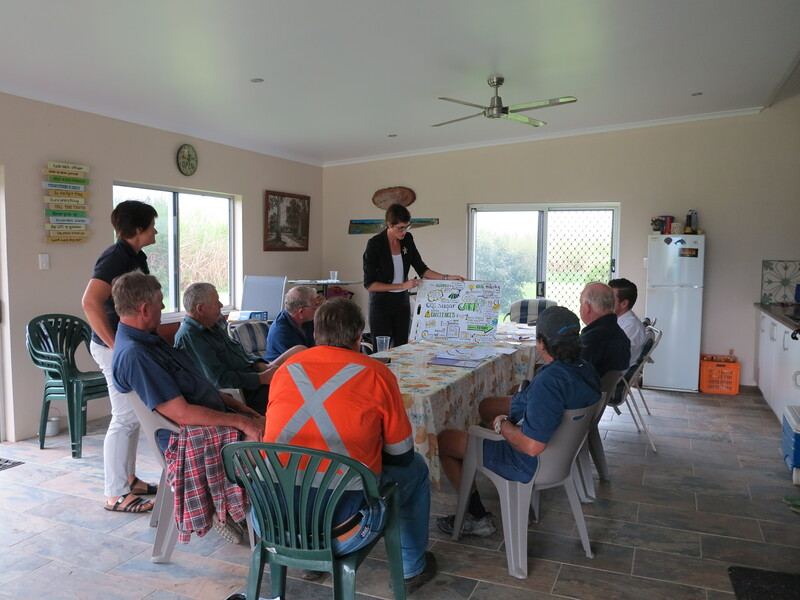 Shed meeting – we held our very own shed meeting with cane growers in Tully where I drew out the issues and challenges facing the sugar cane industry. 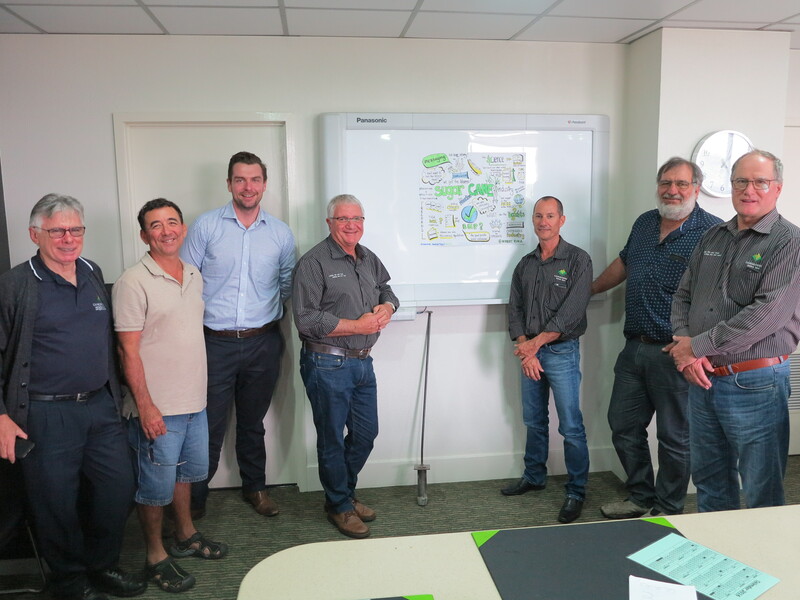 CANEGROWERS – in the Herbert River offices of CANEGROWERS I put people in the picture and drew out the cane growers issues, challenges and ideas. Whole TEAM: represented by the underwater ecosystem which relies on each of the above elements and functions to work, illustrating the teams connections and shared priorities. Thank you for inviting me to listen to and picture your important planning day to create your team vision. I hope I get to ‘sea’ you all again soon!